Sweetfields Farm is a young farm started in 2008. It began as just a bare plot of land with some beautiful oak trees. 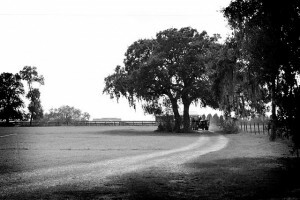 The land was utilized for hay and horses. The Kessel’s came across the land and fell in love not only with its beauty but the quaint town it sits in. Masaryktown has a real small town feel with modern convenience close at hand. With the Kessel’s desire to work together doing something they’re passionate about in a healthy atmosphere their kids could be part of the dream began. 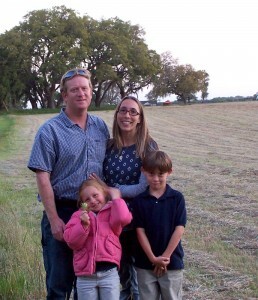 The decision to grow and sell naturally grown produce straight from the farm was a good fit for their family. Both hard workers Ted and Lisa Kessel knew it wouldn’t be easy but with their hard work, sweat, tears and strong relationship they would be doing something they could be proud of and providing great example for their kids. Breaking up the ground, running irrigation, running electric, building an area to grow not only in the ground but in containers to conserve water, planting the seeds and seedlings, and operating the acreage not planted with veggies as an organic hay field. It was a labor of love and all the hard work brought their dream to life. What they created is not only a wonderful local resource for organic produce but also a welcoming family atmosphere filled with education, good times and entertainment. Sweetfields Farm Our farm is a small family owned and operated farm with lots of heart and a wonderful support team of close friends and family. Our passion to respect our health and our environment has led us down an “Organic” path. After all, our family lives, plays and eats from the land we grow from. Farming sustainably and responsibly we work to bring you the freshest healthiest crops. It is important to us to bring back the connection to local agriculture and allow you to know your farmer. Our farm allows you to not only see the crops growing, choose from produce gathered that same day or pick your own straight off the plant, but also leave knowing that “it doesn’t get fresher than this”. Fresh produce tastes better and is better for you! We hope we get the chance to see you out at our farm and share a taste of our fields with you. We feel strongly about our kids as I am sure you do yours. They are our future. This is why we feel it so important to do our part with educating. We work to make learning fun. Everyone should have the opportunity to support and experience local agriculture. There is so much more to our food than what we can experience at the grocery store. Without farmers there would be no food! Farming is a modest lifestyle that tests your patience on a daily basis. It is filled with manual labor, long hours, stinky smelly days and sleepless nights filled with worry. Our reward: A beautiful health crop we can be proud of, our smiling happy customers, the experiences we share together, the knowledge we share with all the kids that come out to visit. We do what we love and love what we do!